Al Karam Autos deals in sale and purchase of New & Used Bikes. 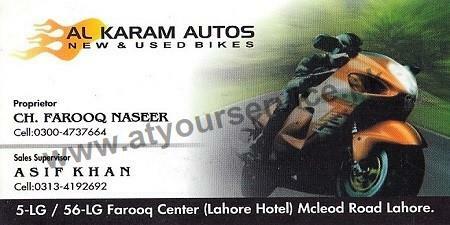 Al Karam Autos is located in Farooq Centre, Mcleod Road, Lahore. It deals in sale and purchase of New & Used Bikes.